I recently learned (via a rant from an electrician's son and some internet research) that the standard buy-anywhere cheapo extension cords are a big cause of electrical fires and are not recommended to be left plugged in. So say I DO want to leave an extension cord plugged in permanently around the house. Is there some type of cord or some feature of a cord that is safer for this? Extension cords that are not listed, labeled, or rated for permanent (long term) use are all temporary wiring devices. If you need to permanently connect an electrical device, you should use approved wires and/or cable assemblies installed in an approved manner. As Tester101 says, extension cords are not meant for permanent wiring. If you really need an outlet in a given location, you should consider having one installed. But there are a number of things to keep in mind when you are using extension cords. 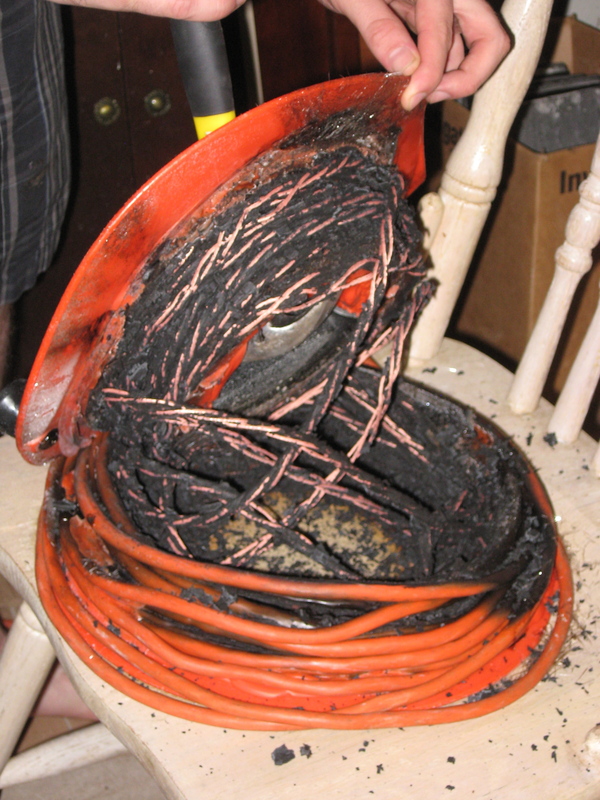 Avoid using extension cords for any high draw devices, such as refrigerators, toaster ovens, irons, hair dryers, etc. In general, the use of three prong, heavier (wire gauge, not weight), shorter cords are preferable. And make sure they are out of the way and not a trip hazard (no crossing thresholds, other footpaths). Not the answer you're looking for? Browse other questions tagged electrical extension-cord or ask your own question. What gauge wire/cord do I need for these outdoor lamps? Is it safe to use a 50 metre (164 foot) mains extension cable? When to retire aged copper extension cords with intact jackets?